If you have you searched the Internet looking for an honest review about the Magnetic Profit automated trading tool (AKA Magnetic Profit App) and David Silversmith? Our staff has conducted an in depth investigation into this horrendous software and found out this Auto-trader is a complete SCAM and fraud. 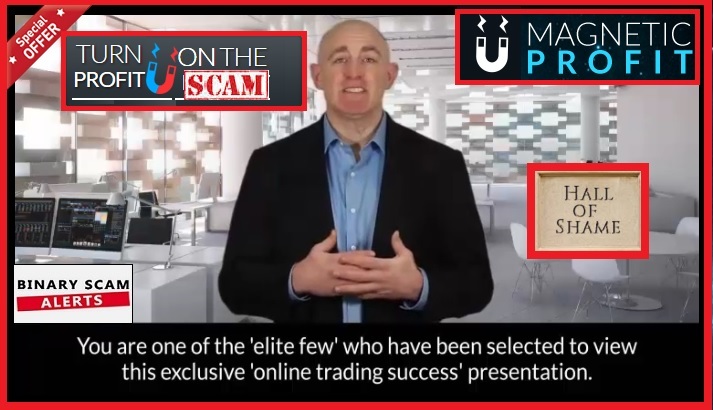 Here you can see a second rate actor who is a fake and an impostor, selling you a SCAM binary option software designed to do one thing only. Get you to invest, then intentionally lose your money by buying contracts or options with low payout and ITM ratios. 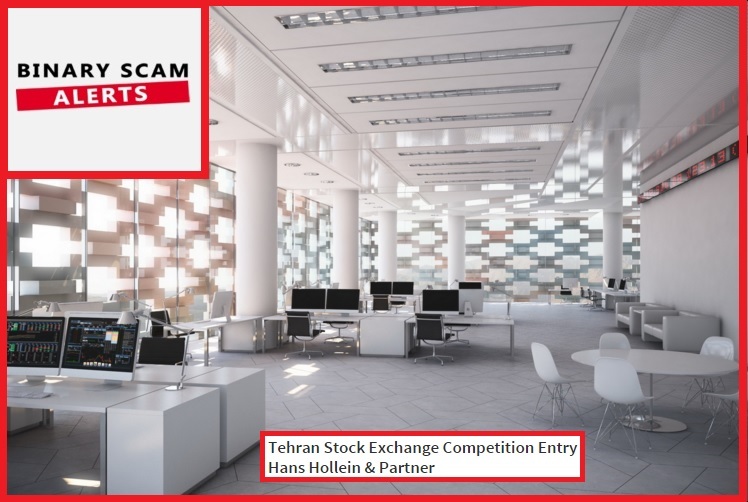 Below is the design submitted for the Teheran Stock Exchange by Hans Hollein & Partner, a very upscale Austrian architecture and design firm. For some reason the producers of the sales video decided to use this image in the green screen behind the actor, maybe they thought it would give it a more official or believable look (who knows). There’s no need for that, the Magnetic Profit app will steal your money in a very effective and efficient way and give it to a shady broker who may even steal your credit card information and overcharge it. If you think this Auto-trader has a high accuracy rate you are deeply mistaken, and you will end up paying the price. Analysis of global markets and high levels of performance is not what you will get with this fake app. It is designed to predict losses precisely and according to market prices it will take a losing trade on your behalf. Losing trades are automatically placed in seconds. The Magnetic Profit App is apparently available for free to “138 people”, or at least that is the sales pitch “and then the offer will be removed”. Well naturally, you just need to register an account with one of their slimy unregulated brokers and fund a trading account with $250. This will guarantee your loss and the affiliate’s commission, very simple formula. If you have any doubts simple ask to speak with the customer service staff and see what happens. If you are lucky and get a response they will push you to fund an account and not answer any real questions. 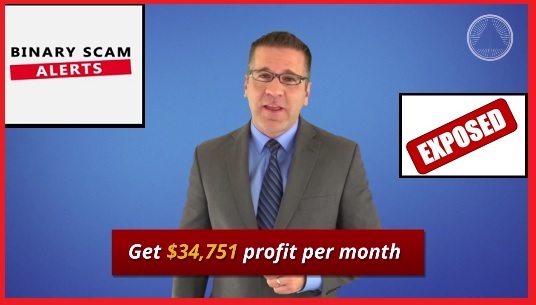 The same annoying and tedious motifs of daily life-changing paydays, or jaw-dropping paychecks that change your financial future reverberate constantly in this sales video. Will David Silversmith let you in on his money-making secret and a blueprint for creating profits reaching up to $11,520, 340.11 yearly? Of course! You will become a millionaire guaranteed, using his proven system exposed by a “finance industry watchdog”. When you hear this kind of stuff run away and keep your distance because you are being targeted for a scam. Here you have this paid second-rate actor saying how well he did with this system, when in reality the magnate attracts money away from you and into the pockets of greedy shady brokers. If you compare the images below you will see him doing another paid promotion for something called the inner trading circle. It’s interesting how these scammers persist on using the same actors over and over again and don’t really learn from their mistakes. If you want to do it right you might as well get a decent actor or maybe even better yet, actually promote something that works! How’s that for a bright idea? Similar scams include the Zulander Hack, Citidel LTD, Centument App, Tauribot, Insured Profits, Free Money System, Stark Trading, Channel Ranger, Gold Trade Microsystem, and Trade Fusion. Binary Scam Alerts is now endorsing the binary profit method, which is a signals system that has been revamped and updated. We do not recommend any Automated trading software, but if you must try one out check out our Virtnext review. Our staff is continuously getting complaints by traders being harassed by SPAM email coming from these sources: Binary News Profits, Insider Binary Options, Ichimoku Binary Robot, Verified FX, Amazing Selector, Limitless Bets, and Binary Trader Pro. Additionally they are being called up by brokers with funny accents trying to illegally solicit them to fund trading accounts. Magnetic Profit and David Silversmith are scam artists and cheating impostors that will steal your money. There is nothing genuine, honest, or legit about this software and I would not be surprised if your computer has malware on it or some type of Trojan Horse that was downloaded in the background without you noticing.